At Austab Labels we are ready to meet your barcode labeling needs with pre-printed or blank labels. We carry an extensive range of labels and ribbons should you wish to print your own barcodes. 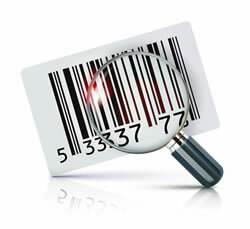 Austab can also print your barcodes for you. Should you require EAN-13, codes 128, 39 or QR barcodes on rolls or sheets, removable or permanent adhesive, paper or synthetic material, let us assist you. Variable-data printing (VDP) (also known as variable-information printing (VIP) or (VI) is a form of digital printing, including on-demand printing, in which elements such as text, graphics and images may be changed from one printed piece to the next, without stopping or slowing down the printing process and using information from a database or external file.